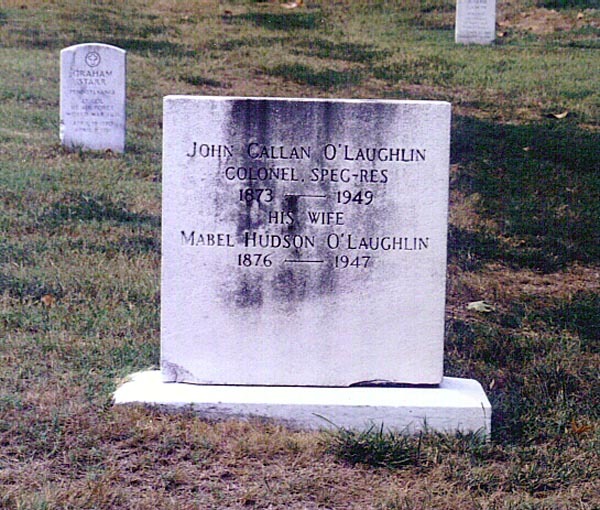 John Callan O'Laughlin (1873-1949) was a journalist and long-time publisher of the Army and Navy Journal with important connections to the political and military establishment in Washington from 1920 until his death. These connections informed O'Laughlin's writing on foreign and military policy. O'Laughlin became a trusted friend of Herbert Hoover, writing lengthy, insightful letters to him on politics and world affairs. In fact, Hoover relied on O'Laughlin for information and advice, especially after his presidency. O'Laughlin began his career as a journalist, writing for the Washington bureau of the New York Herald from 1893 to 1902. After a short stint on the AP European staff, O'Laughlin worked for the Chicago Tribune and later the Chicago Herald until World War I. In January 1918 he was commissioned a Major in the U.S. Army, serving as aide to Major General Goethals. During these years, O'Laughlin wrote his first book, From the Jungle through Europe with Roosevelt (1910). After the war, O'Laughlin established the Army and Navy Journal, a weekly covering the American Military and world affairs. O'Laughlin's political connections extended from Theodore Roosevelt to Harry Truman, and covered the philosophical spectrum from Herbert Hoover to Eleanor Roosevelt. He was a delegate at Roosevelt's Bull Moose convention in 1912, and later served on the Republican National Committee. After World War II, Hoover hoped to influence the European Recovery Program using O'Laughlin as his agent. These hopes went largely unfulfilled a Marshall and Truman went their own way in shaping post-war Europe. O'Laughlin died March 14, 1949. He is buried in Arlington National Cemetery. An extensive collection of his papers is held by the Library of Congress. Colonel O'Laughlin (a reserve rank) covered St. Petersburg (now Leningrad) for the Associated Press in 1904, and subsequently was used by Theodore Roosevelt as a go-between with the Russians in arranging the Russo-Japanese peace. For two months in 1909, he was Teddy's First Assistant Secretary of State, then he trekked to Africa with Roosevelt as a personal secretary. In World War I, he was a Major in the Quartermaster Corps, later for a time a U.S. Secretary for the Inter-Allied Munitions Council. He bought the 81-year-old Journal in 1925, still does much of its leg work. He has five assistants, only one of whom (a former chaplain) has a military backgound. O'Laughlin's closest friend: John J. Pershing.